Fluid Mechanics, understanding and applying the principles of how motions and forces act upon fluids such as gases and liquids, is introduced and comprehensively covered in this widely adopted text. New to this third edition are expanded coverage of such important topics as surface boundary interfaces, improved discussions of such physical and mathematical laws as the Law of Biot and Savart and the Euler Momentum Integral. A very important new section on Computational Fluid Dynamics has been added for the very first time to this edition. Expanded and improved end-of-chapter problems will facilitate the teaching experience for students and instrutors alike. 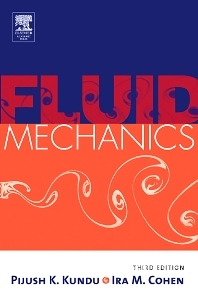 This book remains one of the most comprehensive and useful texts on fluid mechanics available today, with applications going from engineering to geophysics, and beyond to biology and general science. Excellent Coverage of Computational Fluid Dynamics. Senior undergraduate/graduate courses in mechanical engineering and geophysical sciences.